I would like to spend some time talking about the marvelous organ we all possess and reliably take for granted – the human brain. 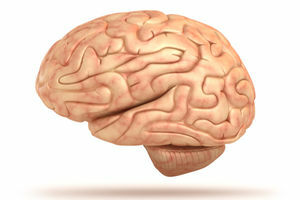 On average the human brain weighs between 1300 and 1400 grams (about 3 pounds). This marvel of neuronal circuitry. possesses about 90 billion neurons – those remarkably specialized cells designed to carry information through electrical impulses. It has been demonstrated that the brain consumes nearly a quarter of all the energy the body produces in order to keep it functioning. It is within this organ that consciousness arose during the course of human evolution. This profoundly organized structure is the site where all our perceptions arise and is the origin of our personal identity and our personality. This brain is the site not only of our often unruly emotions but also of all the elemental qualities that make us sentient beings – our intellect, our ability to reason, to learn, to think, to analyze the world around us, to problem solve, as well as our creativity and our judgment. It is also the center of our moral and ethical universe. My point is that this marvelous organ that we possess is capable of so much more than we seem able to utilize. With this amazing organic wonder, we can certainly fashion a better and more sustainable world than the one we have created to date. Collectively, we have done an abysmal job at fashioning viable and enduring habitats for the globally far flung members of our species. Instead, we have allowed short-sited and often emotionally-charged visions of our world to dominate our thinking and shape our misguided perceptions as to what constitutes successful living. We have allowed the darker elements of our psyche - embedded within the lower brain - such as fear, vanity, violence and greed to dominate our thinking and sculpt our existence. We are quite capable of transforming the world of humans into one in which all people can prosper and develop into individuals that actively discover and realize their full capabilities and potential. We are quite capable of creating a world where hunger and war and needless suffering are effectively eliminated and one in which the future holds promise for everyone. We are quite capable of finally and irrevocably removing ourselves from the endless cycle of violence and retribution that we have endured for millennia. Why we continue to fail so miserably at realizing what we already possess is a mystery that continues to haunt me and will most certainly pursue me to my grave.